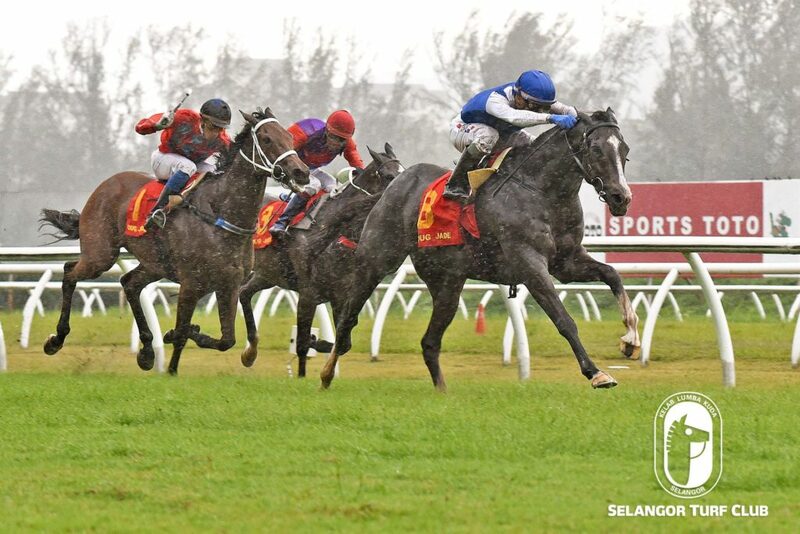 This year’s running of the RM200,000 Tunku Gold Cup over 1200m is wide open with all the 14 runners assemble in the field is seen with a chance to win in Race 9 at Selangor Turf Club on Sunday. However, trainer Frank Maynard’s Showboy is the pick banking on his speed will be an added advantage to capture the coveted cup – the first leg of the ever popular Triple Crown Series. The five-year-old by Showcashing showed his prowess in his last outing with jockey Oscar Chavez on board to stave off a late challenge from Stick Seeker to capture the OUG Jade Cup over 1200m in February this year. Once again, jockey Chavez will take the reins on Showboy and jumping from barrier 6, should help to win. Do not rule out the chances of Aud Dollar (M Ganesh) and Volcanic General (S.Ruzaini). Both were seen doing impressive workouts during the week and will pose the challenge at the finish. Last start, the seven-year-old by Pegasus ran a very good fourth to Aud Dollar last month over 1300m and has trained on well. Russell The Crowe with jockey F Yap in the saddle holds a strong chance to greet the judges this time out. Watch out for, trainer Frank Maynard’s pair of Gabbar (Chavez) and Lucky Dapper (Z.Khairil). Both looking very GOOD. Trainer BT Lim’s Shellomada looks set to greet the judges again in Stakes A over 1800m in Race 5 at Selangor Turf Club on Saturday. Last start, the six-year-old by Mastercraftsman, with apprentice P Haris on board, came with a well timed run at the closing stages of the race to beat Karigara in the Mydora Cup over 1800m last month. Shellomada is still in great form and with leading jockey Jose De Souza replacing Haris, who is suspended, looks set to score again. Richard Lines trained Powerful Fighter looks hard to beat in the Class 4 over 1400m in Race 3. 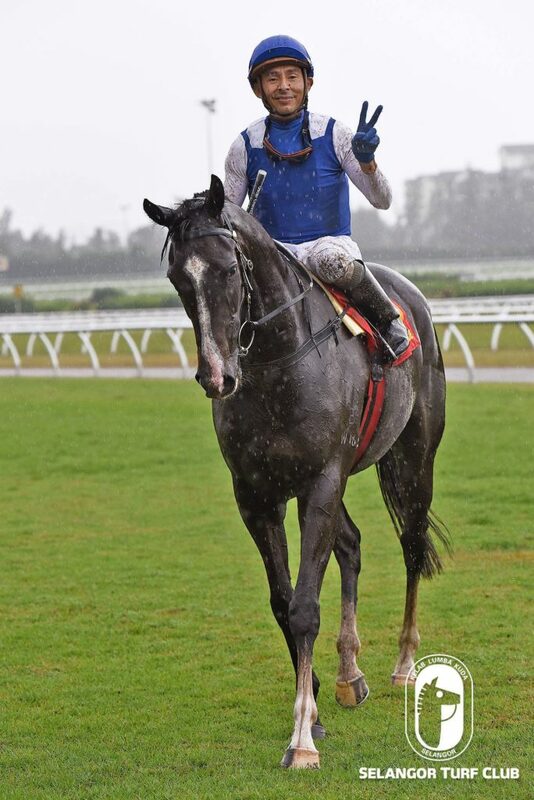 Last start winner, the seven –year-old by Written Tycoon was close to the early pace and beat off the late challenge by Twodollarmuppet in Class 5 over 1400m last month. Once again Jose De Souza has been elected to ride Powerful Fighter and the combination should win. Trainer SY Lim’s Perfect Pearl should make amends in Class 5 over 1400m in Race 2. The five-year-old by Thorn Dancer finished a brave second to Aussie Eagle last outing over 1200m last month after making the running. Perfect Eagle will be partnered by Apprentice AM Aizat and the pair is seen with a chance this time out to win. 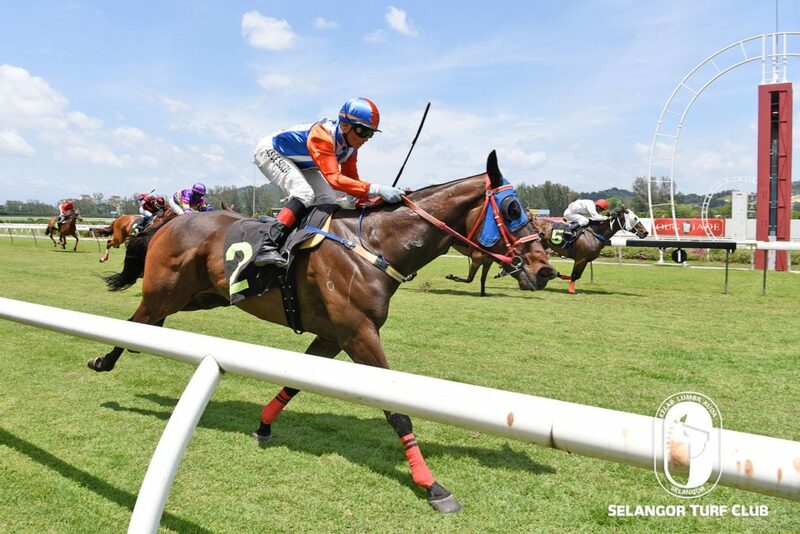 The battle begins with 14 runners making their bid to capture the 50th edition of the RM200,000 Tunku Gold Cup over 1200m in Race 9 at Selangor Turf Club on Sunday. While most of the runners took it easy on the track today, Aud Dollar did a canter and Volcanic General did a trot and a canter on the heath track. Wow (trot/canter), Russell The Crowe (trot) & Splendour (trot/canter) in the participating in the Sungei Besi Autoworld Cup in Race 6. Sangkurian did a canter on the first round then did pacework on a tight hold bears watching in Race 3. Trainer Tan Soo Beng’s Patterson Road is back in form and looks formidable to win Race 5 at Selangor Turf club on Sunday. On the track today (Thursday), the eight-year-old by Patapan with jockey I Fadzlei on board did a canter on the sand track and then switched to grass track to stride out fluently over 600m in 36.5 seconds. Last outing, Patterson Road came home strongly to finish fourth to Aussie Eagle in Class 5 over 1200m last month. Now reverting over a longer 1800m trip, Patterson Road with apprentice L De Souza taking the reins this time out, should have a strong say. Former Singapore galloper Metallocene looks ready to score at the local shores in Class 4 over 1200m in Race 10. At the track, the three-year-old by Darci Brahma with jockey I Fadzlei on board did a canter and then did a dashing workout over 600m in 35.7seconds on a tight rein. Last outing, in November at Kranji last year, Metallocene ran a fair eight to Kingsman in a Class 4 Div 2 event over 1200m. Now has shifted over the border, Metallocene should have a say with jockey Oscar Chavez in the saddle. Workouts by horses in the Sungei Besi Autoworld Cup (Race 6, Sunday). Wow (two rounds trot), Russell The Crowe (two rounds canter), Splendor (two rounds trot), Metier Star and D’ Great Song did a canter and then did pacework . The going was good. Slow work on the sand track, while fast work on the No.2 grass track. 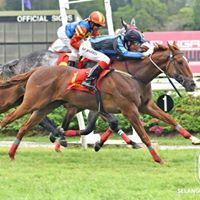 Trainer Charles Leck trained Volcanic General looks well prepared to make a bid in the running of the RM200,000 Tunku Gold Cup in Race 9 at Selangor Turf Club on Sunday. On the track today (Wednesday), the six-year-old by Magnus with jockey S Ruzaini on board did two circuits at a canter on the sand track and then reeled off in a workout over 600m in 39.4 seconds, pulling up well into the back straight. Last outing, Volcanic General ran a smack up second to Tilsworth Force in the Coronation Cup over 1600m at Ipoh last November. Once again jockey Ruzaini take on the reins on Volcanic General and poise for a win in the first leg of the ever popular Triple Crown Series. Several Gold Cup candidates were out on the track, Aud Dollar (M Ganesh) did a trot and strode out fluently over 600m in 40 seconds on the bit. Black Thorn (HS Gill), which was narrowly beaten last weekend, made an appearance on the track with a trot and a strong canter. While Listen (AM Aizat) did a canter and then sprinted on a very tight rein in 44.8 seconds. The going was good. Slow work on the sand track while fast work on the grass track. Trainer Frank Maynard’s Showboy showed up with an impressive workout at Selangor Turf Club today (Tuesday). Taken out by a track rider, the five-year-old by Showcasing did a trot on the first lap and then, switched to the grass track, strode out fluently over 600m in 35.3 seconds and finished with plenty in hand. Showboy in his last outing with jockey Oscar Chavez on board showed his force in the OUG Jade Cup in February, beating the consistent Stick Seeker over 1200m. 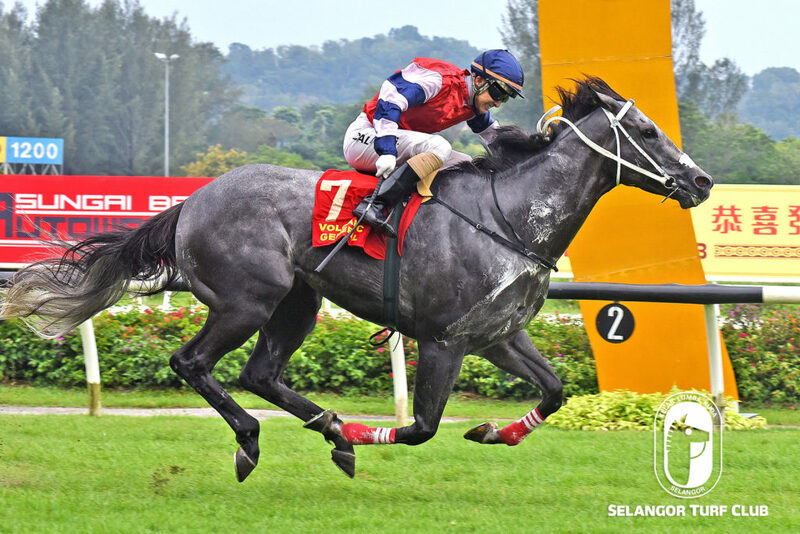 Now racing in the top class company, Showboy should put a good showing in the 50th edition of the Tunku Gold Cup over 1200m, the first leg of the popular Triple Crown Series this Sunday. Trainer Frank Maynard’s Gabbar has come to form judging from the dashing workout. The five-year-old by Coat’s Choice was given a trot and then reeled of stylishly over 600m in 35 seconds under a very tight hold. Last outing, Gabbar with Oscar Chavez up, ran a fair eight to Aud Dollar in the Elite B over 1300m early last month. Now with such good preparations, Gabbar, who is looking very fit, should be a different propostion in the Sungei Besi Autoworld Cup over 1200m on Sunday. The going was good. Fast work on the grass track, while slow work on the no.2 sand track.